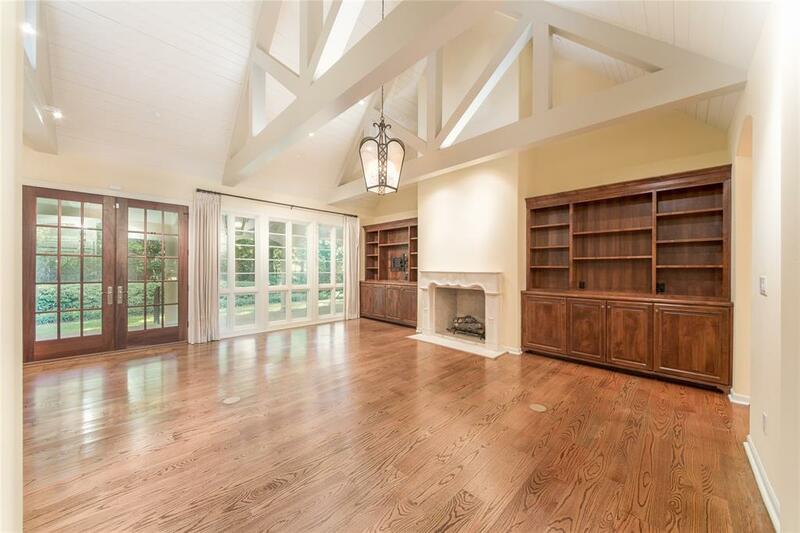 This gorgeous custom home, located in the desirable Hunters Creek area, sits on a wooded lot that offers a quiet respite. 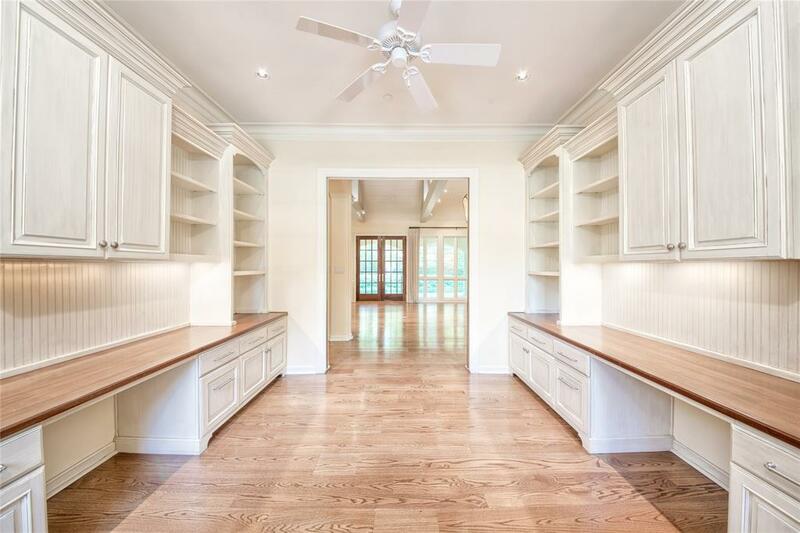 Marked by beautiful wooded terrain, quiet streets, and a private ambiance, Hunters Creek is coveted by many for its exemplary schools, as well as its proximity to shopping, entertainment, and major employment centers. 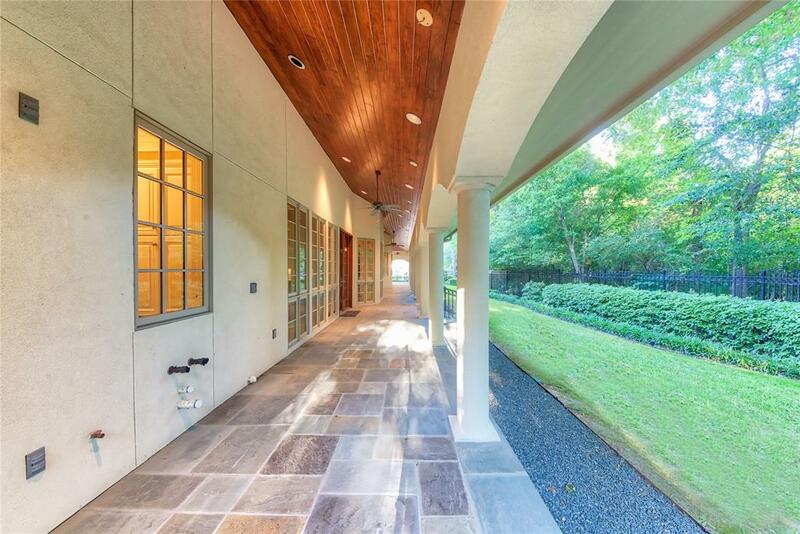 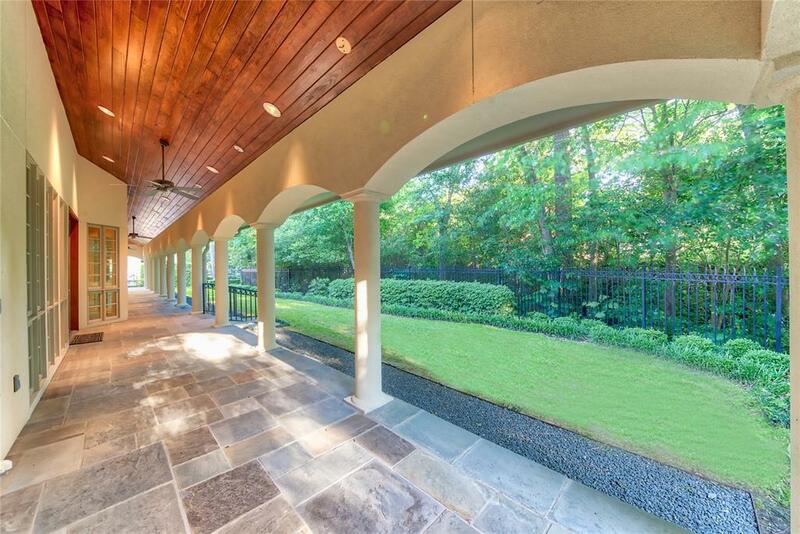 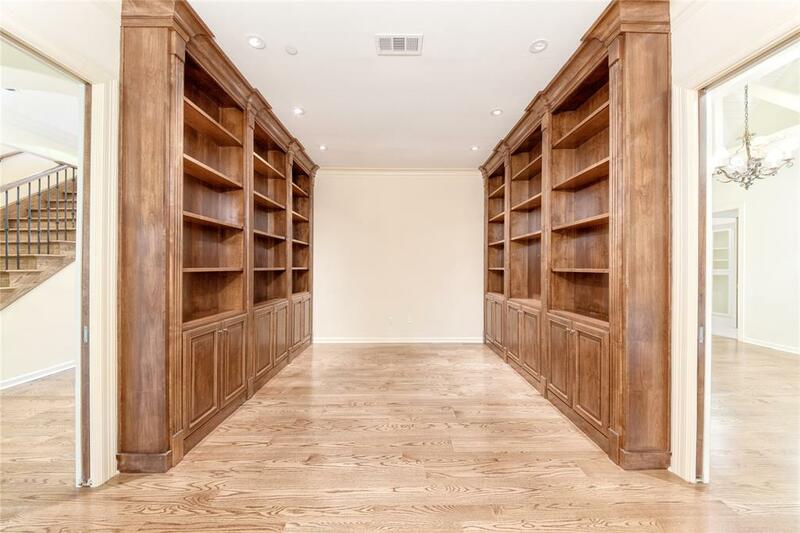 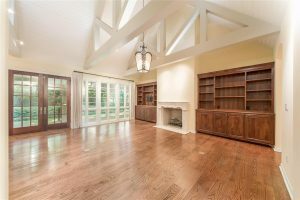 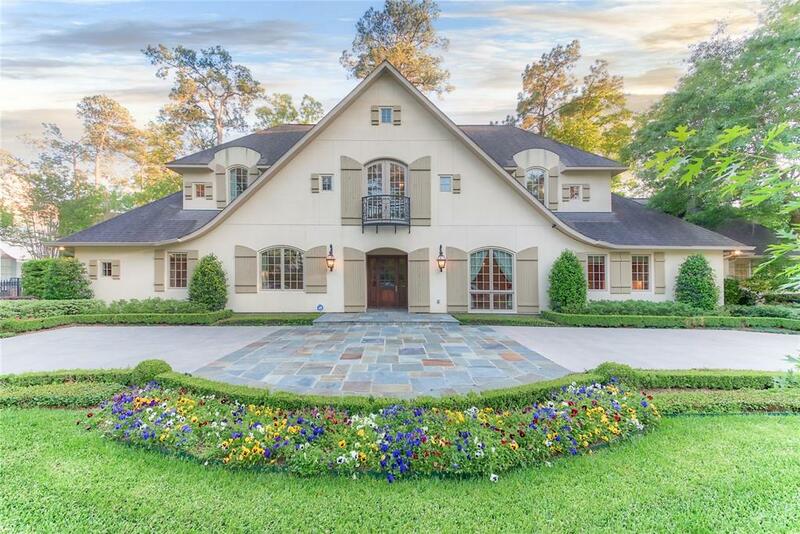 This spectacular home is ideally located within walking distance to Memorial Drive Elementary School, which is a part of the renowned Spring Branch Independent School District, and short driving distance to the prestigious Kinkaid School. Numerous upscale shopping and fine dining destinations, including the Galleria, Highland Village, and CITYCENTRE, are easily within reach. 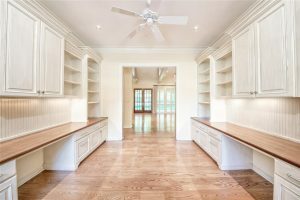 Those who work in the Energy Corridor, along with Memorial Hermann Hospital and Health Center at Memorial City, will enjoy easy daily commutes. 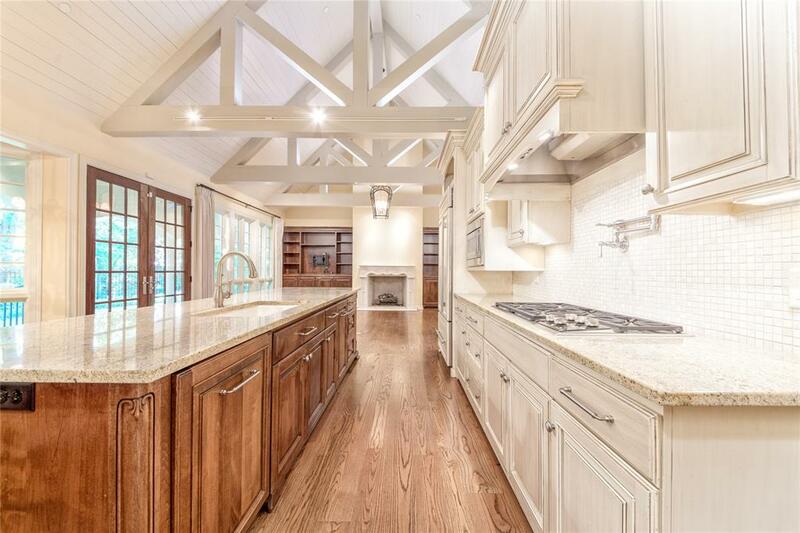 From its unbeatable location to its detailed craftsmanship and design, this home truly offers it all. 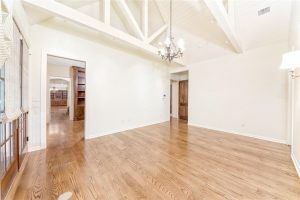 The spacious open floor plan is accentuated by sumptuous hardwood and travertine flooring, cathedral ceilings with exposed beams, a stone fireplace, custom millwork, and Baldwin hardware. The gourmet kitchen will be the envy of all your guests with a Sub-Zero built-in refrigerator, Wolf double oven, 5-burner gas cooktop, warming drawer, and pot filler. 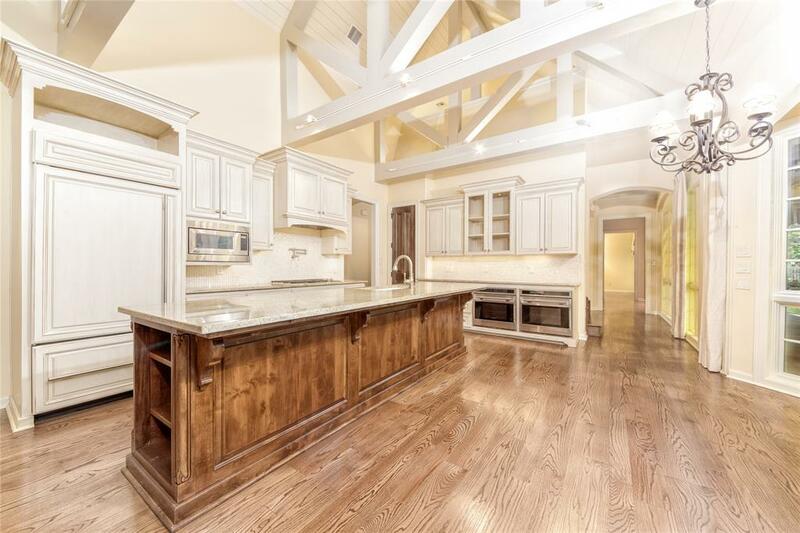 The oversized island has plenty of seating, which makes it ideal when hosting parties and large gatherings. 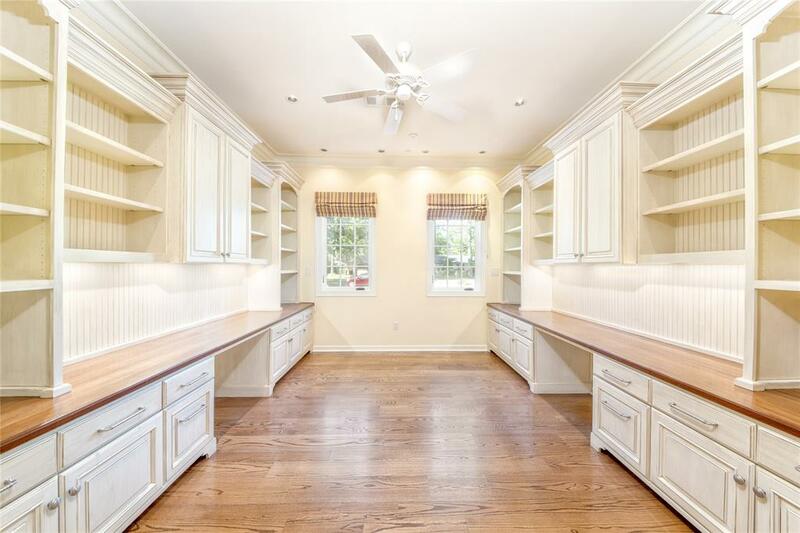 The study area boasts two built-in desks as well as built-in cabinetry and shelving. 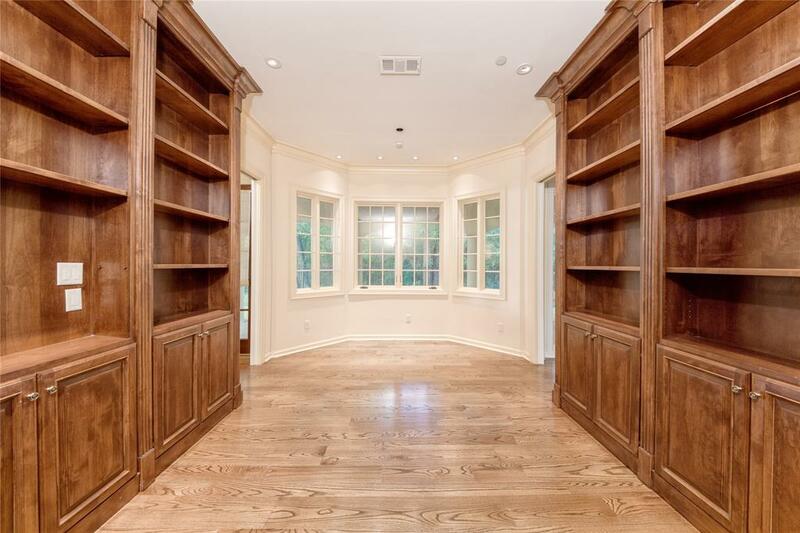 Located right off the master suite, this room can be used as a library or second study. 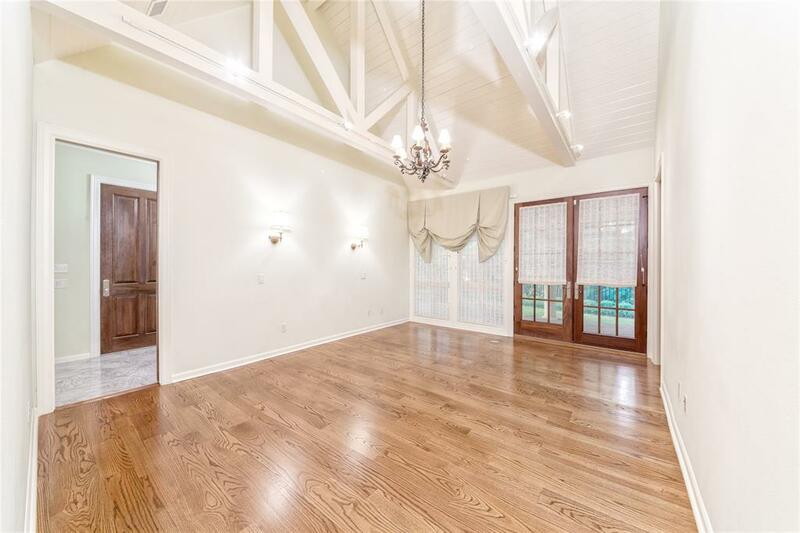 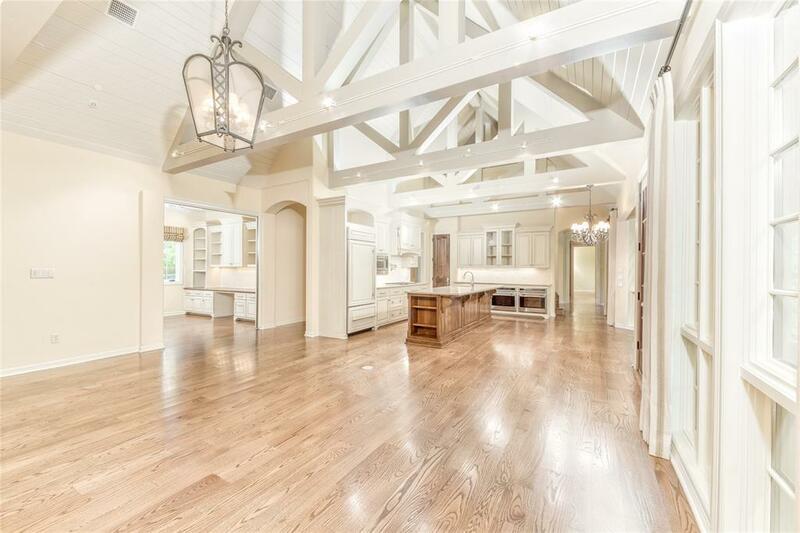 The stunning cathedral ceilings are carried through to the master bedroom, which includes a private French door entry to the patio. 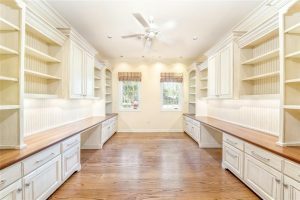 The spa-like master bathroom is the perfect retreat after a long day’s work with luxurious marble countertops, large tub, and a frameless shower. 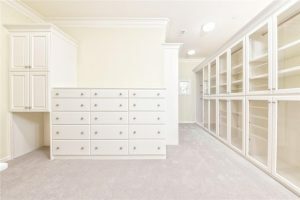 The incredible walk in closet is a dream come true, featuring custom built-ins and endless storage space. 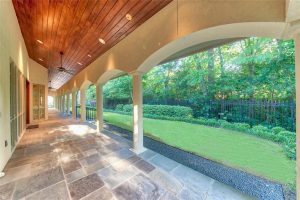 With a wood paneled ceiling and the privacy of lush, towering trees, this patio is the ultimate spot for relaxing with family and friends.